Below you can view all the homes for sale in the Olde Town Arvada subdivision located in Arvada Colorado. Listings in Olde Town Arvada are updated daily from data we receive from the Denver multiple listing service. To learn more about any of these homes or to receive custom notifications when a new property is listed for sale in Olde Town Arvada, give us a call at 720-580-6756. Stroll into Olde Town Arvada for Dining, Retail & Water Holes or Catch the G Line to Downtown Denver. MLS#9607836. KELLER WILLIAMS AVENUES REALTY. Hurry, This One Won't Last! MLS#1556808. RE/MAX Alliance - Olde Town. Convenient to shopping, dining, and an easy commute to the mountains or downtown. 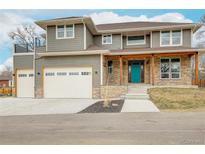 MLS#7008783. COLDWELL BANKER RESIDENTIAL 18. TWO HOUR NOTICE NEEDED- .Entry at NW corner of home. MLS#9944992. COLDWELL BANKER RESIDENTIAL 56.